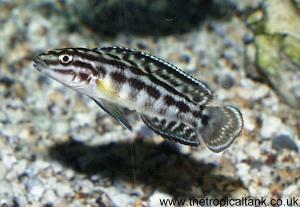 Feeding: Will take most aquarium foods, but frozen or live foods are preferred. Breeding: Substrate spawner, the female will usually select a cave with a very narrow entrance. The female will guard the eggs and fry until they are free swimming. 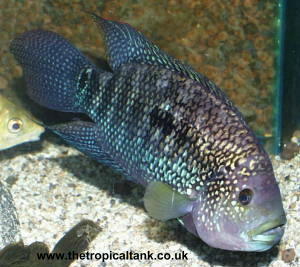 Comments: A slow-growing cichlid, A. compressiceps makes an interesting addition to a suitable Tanganyikan setup. 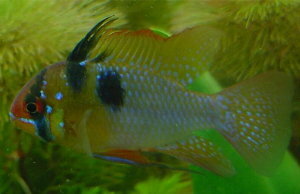 As with A. calvus, there are different colour variants, originating from different locations in the lake. 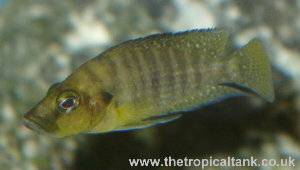 Altolamprologus may eat very small fishes and fry, but are not generally a danger to adult Tanganyikan cichlids. 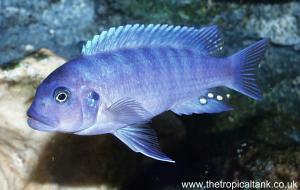 They should not be kept with boisterous fishes such as Tropheus and the Malawi mbuna.